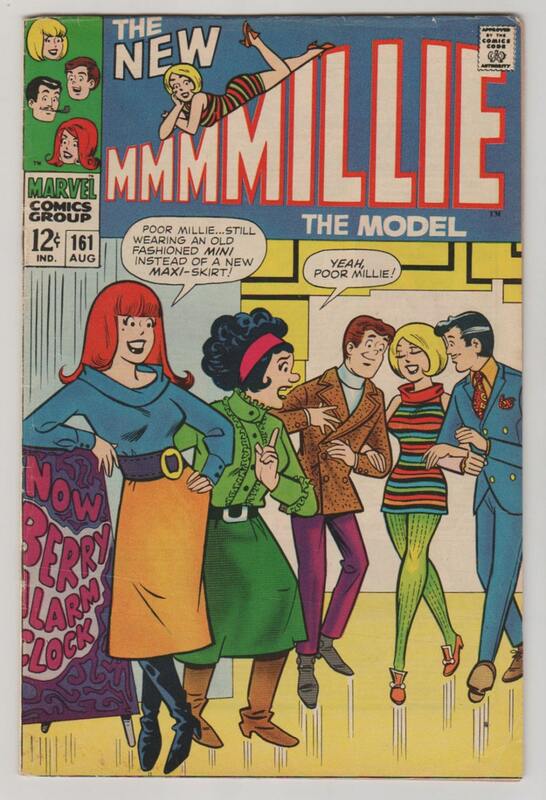 Millie the Model; Vol 1, 94, Silver Age Romance Comic Book. VG+ (4.5). January 1960. 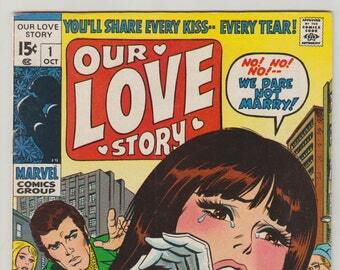 Atlas Comics (Marvel Comics). 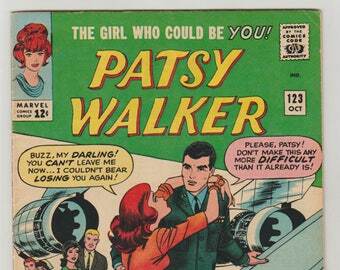 Patsy Walker, Vol 1, 65 Silver Age Romance Comic Book. VG- (3.5). July 1956. Atlas Comics (Marvel Comics). 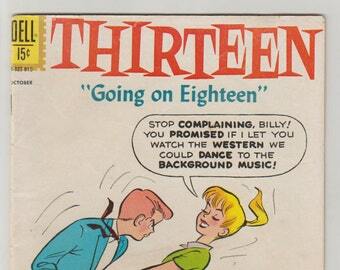 Thirteen (Going on Eighteen); Vol 1, 2, Silver Age Romance Comic Book. FN- (5.5). February 1962. 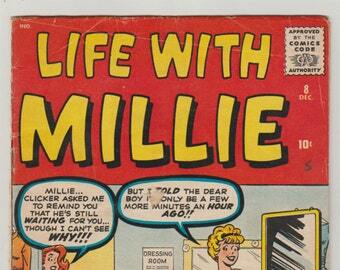 Dell Comics. 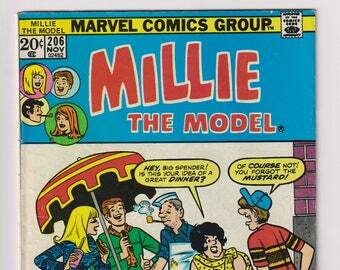 Millie the Model 161 was written by Stan Lee, with art by Stan Goldberg (Solly B). 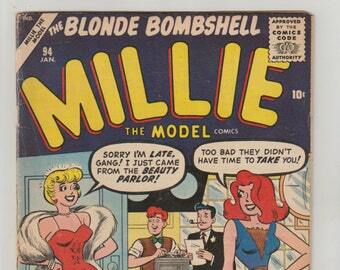 Millie, along with Pasty Walker were very popular "girls" comics back in the 1940's, 50's, and 60's. 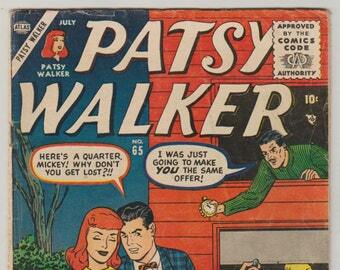 Considered by many and trash comics, and not collectible they can be hard to find especially in nice condition. 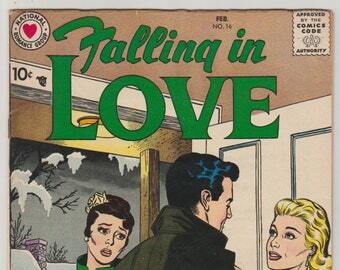 This one is graded VF- (7.5), Gloss and color is super gorgeous, Comic has some age patina/soiling, but nothing too extreme. It also has minor spine stress and edge wear to the top edge and corner. Books interior is gorgeous, white and supple with no defects, someone took pretty good care of this one. Comic has been bagged, boarded, boxed, and stored in a climate controlled, smoke free climate. 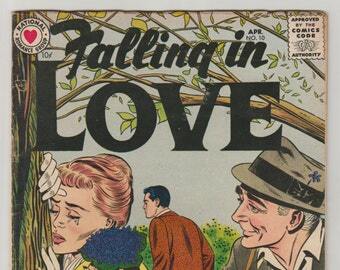 Falling In Love; Vol 1, 16, Silver Age Romance Comic Book. FN- (5.5). February 1958. 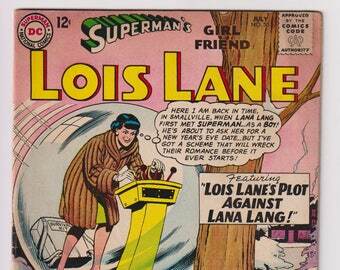 National Romance Group (DC Comics).